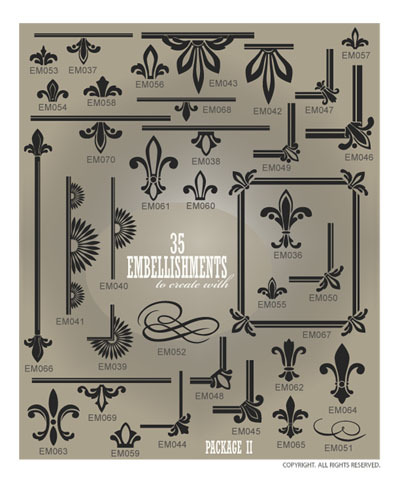 Embellishments look AMAZING on or around picture frames, mirrors, windows and even on mailboxes! Add embellishments around your favorite sayings too! 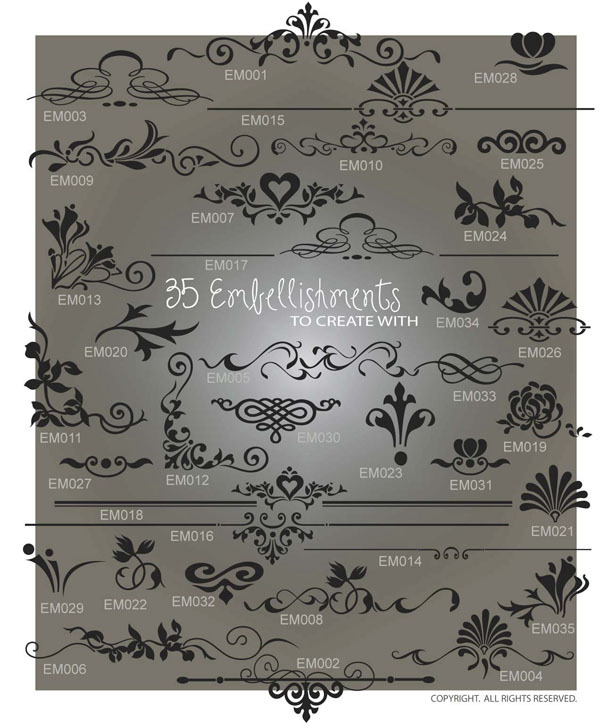 CLICK on the EMBELLISHMENT SAMPLE PAGES below and scroll down the page to see SAMPLES that have been created!